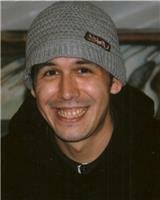 Daniel Lee "Bud" Elvrum Jr., of Neah Bay passed away July 14, 2018, at age 37. He was a master of soups and all-around family clown. Danny was born on his mother's birthday in Port Angeles on September 27, 1980. Because he was a hands-on student, he opted to complete his GED and learn trades that kept him busy outdoors. He worked as a commercial fisherman and a heavy equipment operator, but also enjoyed clam-digging, berry picking, and beachcombing. If you found him indoors, he'd be woodcarving, creating a unique piece of art, or even occasionally playing bingo. Wherever he was, he was making people laugh. His quick-witted and expressive humor was hard to beat. Above all, Danny was a proud father and doting uncle. Danny was preceded in death by his mother, Loretta "Snick" and stepfather Ezra "Big Gene" Brooks, uncles Don Bell Jr. and Timmy Shunn, grandparents Eileen and Ken Heron, grandmothers Mary Whitesitt and Mary Elvrum, and the whistling guinea pig, Gizmo. He will be forever remembered by his son Nicholas Elvrum of Arlington, parents Dan Sr and Serena Elvrum of Neah Bay, sister Jessica (Mike) Leslie of Tulalip, and Neah Bay siblings Sara Ingels, and Marina and Colby Elvrum. The youngest and cutest survivors are his nieces Annabell, Ebony, and Mia. Then there are the older and wiser surviving grandparents: Don Sr., and Susie Bell of Rochester, Darrel "Bub" Elvrum of Sequim, and Jim Shunn of Port Angeles. He would have wanted us to crack jokes about them. Of course the surviving aunts, uncles, and cousins are too numerous to list. A celebration of life was held July 21 at the Assembly of God Church in Neah Bay, followed by a community dinner. Harper Ridgeview was in charge of cremation.